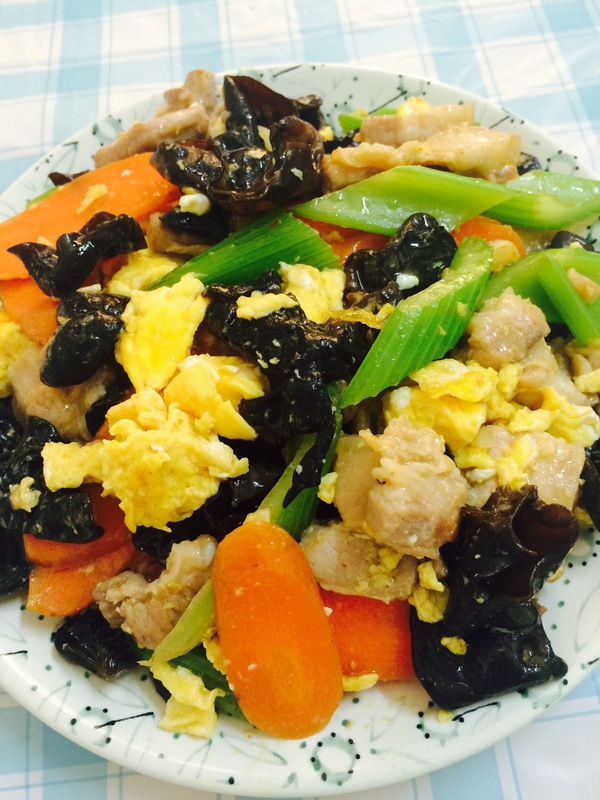 But it turned out to be a delicious dish with pork, egg, carrot, black fungus and cucumber. It’s not a difficult dish to cook. 1. 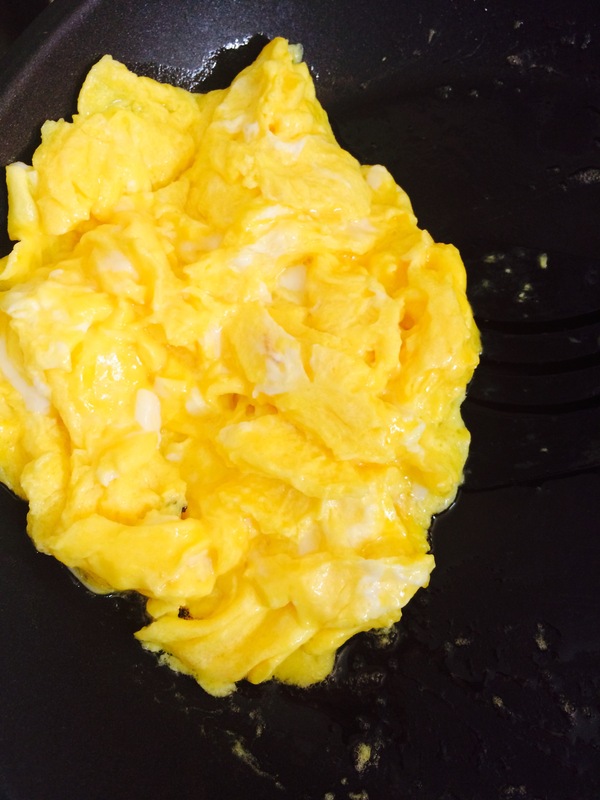 Make omelet. Take the omelet out once they solidify. 2. Heat a little more oil in the pan. Put the marinated pork slices in. Stir fry till they get brown and take out. 3. If there is no oil in the pan, add in a little. Put in the garlic, then carrot. Stir fry for around 2 minutes, then add in celery (or cucumber ). Stir fry for another minute or two. 4. Put in pork and black fungus. Stir fry for 1-2 minutes. 5. Add in salt, light soy sauce and sugar. Stir fry evenly. 6. Put into the omelet. Stir evenly with the other ingredients. 7. At last pour in a little starchy water and quick stir fry for a minute.